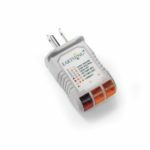 The Earthing Outlet Checker (Ground Tester) lets you easily verify that your electrical outlet is wired properly for grounding your Earthing products. 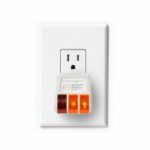 In order to use your Earthing product you must connect it to the “ground port” of a grounded 3 prong outlet. 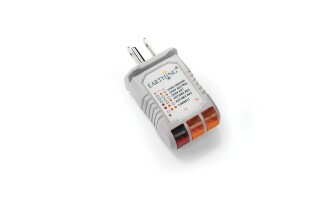 The Earthing Outlet Checker is used to verify that your electrical outlet is wired properly for grounding. 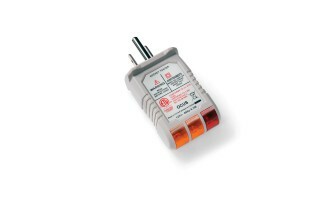 Two amber lights illuminated is GOOD and means that you have a proper ground and you are ready to connect your Earthing product. 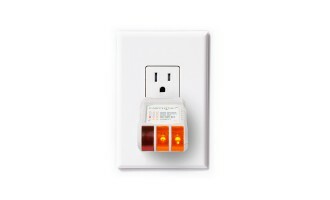 If you have any other light combination it means your outlet is NOT properly grounded. If that is the case, you can use the Grounding Rod in the optional step 2. 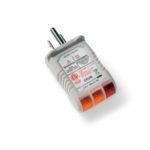 *If you live in the UK, take a look at the Type G Outlet Checker which is compatible with all Type G outlets.